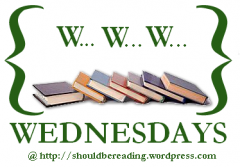 W...W...W...Wednesdays is a weekly meme hosted by Should Be Reading. Just a note - I'm hosting a giveaway - you can enter to win 'The Queen': A Patrick Bowers Thriller by Steven James! Enter here. The final week of 'Waterfall Wednesdays'! 1. After Gabi is injured, the doctor gives her a tonic. Gabi questions the doctor several times what is in it but he refuses to tell. Would have you taken the tonic in Gabi situation? No, I don't think I would. I'm a vegan, so I'm particular about what I consume; but even putting that aside, if he wouldn't tell me what was in the tonic, I would be very leery about taking it. 2. Before the games Gabi asks Lia to let Lord Forabosch win in the archery event as people especially Lord Forabosch are becoming suspicious of them. But during the games Lord Forabosch upsets Lia trying to throw her off her game. So Lia decides to win. Do you think she did the right thing by not letting Lord Forabosch bully her or do you think she took an unnecessary risk? I definitely think she did the right thing. She showed that she was one of the best archers. 3. When Gabi is dying and she and Lia decide to return to the tombs so they can get the cure at home but they have to tell Marcello the truth. Even though Marcello thinks that it is madness that they are from the future he believes in Gabi because he loves her. Do you think this is believable? What would you have done if you were Marcello? It's unbelievable, yet in the story completely believable! I have no idea what I would have done if I was Marcello, but I think what he did was great. 4. In the end Gabi and Lia return home. Do you think Gabi will return to Marcello? Would you go back? I've read 'Cascade' and 'Torrent' so I know if she does or doesn't, but I'm pretty sure that I was hoping for her to return. 5. Looking back at Waterfall what was your favourite moment? My favorite moment? I have to pick just one? Hmm... I don't know if I can. I loved the whole book!!! Book of your choice in the 'River of Time' trilogy! The newest Patrick Bowers Thriller 'The Queen'! I've read 'The Queen' and the 'River of Time' trilogy and I can say that they are great - I loved them all! So go enter while you can! That's 'what's on my nightstand'...what's on yours? I'm trying something new. 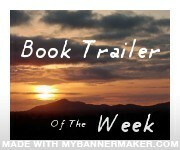 Each week I plan to choose a book trailer that I will "spotlight". This week I'm "spotlighting" Longing - Karen Kingsbury's third book in the Bailey Flanigan Series (to be released in November). I absolutely love the song in the background ('Can't Get Over You' by Anthem Lights) and the video makes me wonder what is going to happen next in Bailey's life - I can hardly wait to read 'Longing'! The Queen is a techno-thriller that will leave you breathless, offered by the author Publishers Weekly calls a "master storyteller at the peak of his game." Welcome to Christian Bookshelf Reviews, Steven! I'm pleased to have you here. Ever since I was a child I’ve loved stories, but I never thought I could be a writer until I finally ventured out and started writing magazine articles back in 1996. I guess I’ve known all my life that I wanted to be a storyteller, I just never thought I would be able to make a living doing it. I received my first book contract in 2000 and I guess I was 31 at the time. It seems like a lifetime ago! Approximately, how long does it usually take you to write a book? My novels usually take between six to ten months to complete. It really depends on the story, the length, the complexity, etc… I tend to write very involved, complex stories with lots of subplots and twists (because those are the kinds of stories I like) but it adds a lot of time on to the writing schedule. Hmm . . . Good question. I recently bought a music stand so that I can stand and edit rather than sitting on my hind end all day long. So I will stand there with my noise-canceling headphones on, sometimes trying to balance on one leg just to make things interesting. Pretty weird to imagine, I know. But hey, you need to break things up and try to see what works for you personally. I learned that sharks are the only animals to have a scientifically-proven sixth sense. That was surprising. I write about it in The Rook. I’ve written over thirty books now, including five novels. I would say my favorite nonfiction book is “Story” and my favorite novel so far is my latest one, “The Queen.” Or maybe “The Rook.” It’s hard to say. A compelling and empathetic character who is taken to the brink and then makes a discovery that changes his life. I like to go trail running, play disc golf, rock climb, watch movies, hang out with my daughters and date my wife. What are three things you wouldn't want to do without? My notebook, my pen, and my Cheetos. Are you currently working on any new novels? Do you plan on writing more Patrick Bowers Thrillers? In addition to “Opening Moves,” which I mentioned earlier, I am planning to write “The King” and then ”Checkmate.” After that, who knows. I might be convinced to bring Bowers back if enough people beg me to . . .
You can also follow my twitter feed at sjamesauthor. One winner will receive a SIGNED copy of 'The Queen'! USA residents only. To enter the giveaway use the Rafflecopter below (it might take a moment to load). There are two mandatory entries - follow via email & leave a blog post comment answering this question: Have you read any of the 'Patrick Bowers Thrillers? The rest are all optional! Many thanks to Steven James for this giveaway! Giveaway ends November 1st. What makes a person truly blessed? Riches? Popularity? Or is it something deeper? I think the greatest blessing is being a child of God - forgiven. I very much enjoyed 'Heiress'. The Price sister's stories had me feeling many emotions. I was saddened at times, but at other times I was happy and laughing. Esme Price doesn't want to marry for status, but for love. She longs to be a journalist and soon finds herself on a journey. Jinx Price could hardly wait to be debuted into society, but a series of events causes an interesting twist in her plans. I think Susan May Warren wrote 'Heiress' in a very believable way. Since there was so much sadness, the story felt very realistic. There were a lot of twists (some I expected) and the ending to 'Heiress' makes me really want to read 'Baroness' - book two in the 'Daughters of Fortune' series. I very much recommend 'Heiress'. I found the romance, mystery, and story great! Go here to view the complete blog tour list. You can purchase 'Heiress' here. Susan is celebrating the release of Heiress with an opulent Gilded Age Giveaway! 1. Gabi and Lia both face several life and death situations in these chapters, having to pick up weapons in defense of those they love and experiencing first hand the brutality of close combat. If you had the choice between picking up a weapon and standing on the front lines or staying behind to tend to the wounded as necessary, which would you choose? That is a tough question. I really don't know for sure, but I would like to think that I would fight to defend others. 2. Both girls get to wear extraordinary gowns to their victory celebration; what would your dream medieval gown look like? It would be a long, gold, red, or blue gown with a ribbon/band around the waist and fabric that shimmers in the light. 3. Gabi has crude stitches put in and must endure both their removal as well as the cauterization of the wound. How is your threshold for pain? Do you think you would have simply gritted your teeth as Gabi does? I like to think that I'm good with tolerating pain, but I probably would have cried. Though, of course, I don't know for sure. 4. Marcello wants to properly court Gabi after they express mutual feelings of affection, wanting to speak with her mother about his intentions. What do you think is the most romantic aspect of medieval courtship? I don't know. All of it. Especially how the men act like such gentlemen. 5. Gabi and Lia find themselves with conflicting desires toward the end with Lia wanting to return home and Gabi hoping to stay. Do you think that Gabi is being unfair to Lia for wanting to stay, or is Lia being unfair to Gabi for demanding they go? A little of both? Definitely a little of both. I see Gabi's point - she's found love, but I also see Lia's point - her friends, her life is back home. I'm currently hosting a giveaway! You can win the book of your choice in the 'River of Time' trilogy. Enter here. I loved 'Vigilante'! You can read my review here. Just a note - I'm currently hosting a giveaway! Click here for the details! Hope you stop by and enter. 'Freaky Friday Follow' Blog Hop!! My Second Blog Award!!! One Lovely Blog Award! Read Your Own Books Month!